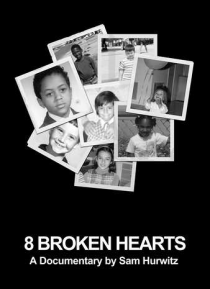 8 Broken Hearts captures the stories of eight courageous individuals who undergo a moving transformation by sharing their experiences and courageously baring their souls. Some share stories of an abusive brother, an alcoholic mother, or a father in jail, while others open up to us about the loss of their only parent, their best friend, or their hero. As the film reveals, pain is a feeling that sti… cks around, often with great detail, but it is something that everyone shares.